With its artful contrast of boldness and elegance, the Roberto Cavalli Nero Assoluto Eau de Parfum is a lesson in the art of seduction. It is an uncompromising perfume for women, created for those who are not afraid to stand out. Glamorous and feminine, it is the absolute reflection of Roberto Cavalli magnetism, dressed in mysterious black and topped with a precious golden seal. Nero Assoluto opens with an arresting orchid accord, a fragile yet striking flower that is made sublime by a sweet and spicy heart note of black vanilla. This delicate balance of sophistication and primal sensuality is supported by a resoundingly sensual base note of ebony wood, which provides a majestic end to a most unique fragrance. *FREE Roberto Cavalli Paradiso Tote Bag when you purchase any Roberto Cavalli product. * One FREE Roberto Cavalli Paradiso Tote Bag per order. While Stocks Last. This product will be added to your basket automatically if your order qualifies for a free gift. 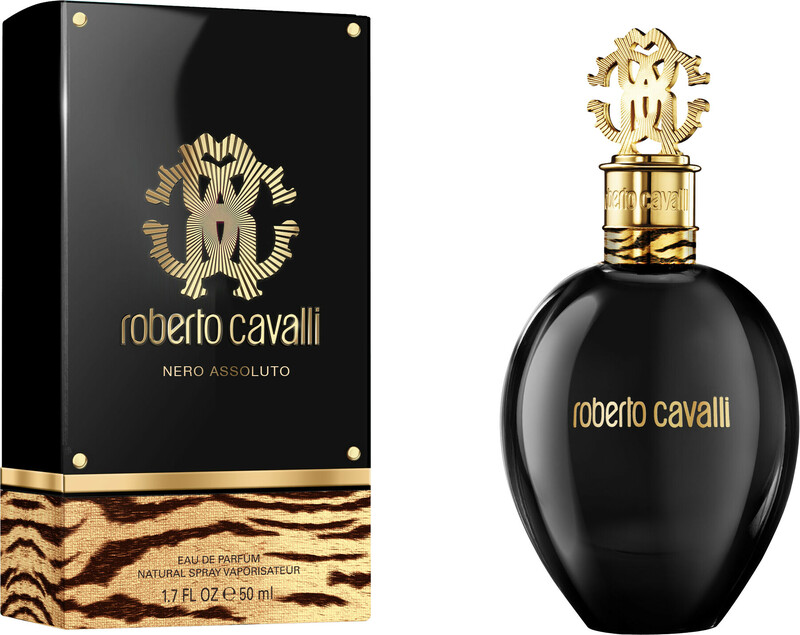 Roberto Cavalli Nero Assoluto Eau de Parfum Spray is rated 5.0 out of 5 by 8. Rated 5 out of 5 by Dumbo from Lovely more-ish scent. r Defintiely a red carpet must-have! Rated 5 out of 5 by Sam44 from Great gift The perfume & free bag arrived quickly and in excellent condition this was a gift for my daughter in law and she loved it.